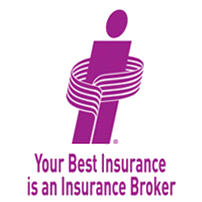 We'll help you save on Creechurch Underwriters Insurance! Protecting the investment in your business with effective commercial insurance coverage provides business owners with the peace of mind in knowing you have coverage to fall back on if something were to happen. Since every business is unique, it’s important to choose business insurance coverage that meets your company’s specific needs. If you work in technology, life science, health or the sporting industry, our brokers at ThinkInsure can help you get the specialized commercial insurance products you need. Creechurch Underwriters is one of Canada’s top insurers for high technology, life science, health and sports risk. Since being incorporated in 1996, they have provided commercial insurance solutions for Canadian companies, associations and organizations in addition to providing package insurance solutions to professional service providers. All of their business insurance products are developed in-house specifically for the Canadian market, ensuring you get the coverage you need. Creechurch is licensed in all 10 Canadian provinces. Why Get A Commercial Insurance Quote From Creechurch? Specialized insurance products:	Creechurch offers niche commercial insurance products for specific industries and businesses, ensuring that if your business fits one of these niches, you will receive specialized coverage that addresses your company’s unique needs. Exceptional service and broker relationships: Creechurch works closely with its underwriters, staff, and partner brokers to provide quick turnarounds for quote requirements and policy inquiries, ensuring you get highly responsive customer service. An efficient claims process: With all claims handled in house, Creechurch ensures all claims are handled thoroughly and resolved in a prompt and timely fashion. Creechurch provides business with general liability coverage to ensure your business has standard coverage in place to protect your interests. This coverage ensures your commercial property is protected and allows you to place all your business locations under one policy if you have multiple locations. This provides your business with coverage for legal fees and expenses from lawyers that are related to specific matters covered by your insurance policy, such as contract disputes, employment disputes, criminal defense, personal injury, and tax disputes. Get A Creechurch Insurance Quote And Save! Starting a new business? Time to renew your business insurance policy? ThinkInsure would be happy to assist you with your Creechurch business insurance needs. Call us to get a quote!